The basic underpinnings of Christian worship include statements or ideas that we want every children to be able to express: I love you and I am loved, I’m sorry, thank you, I have gifts to use in my community. When children participate in prayers of confession, when they sing hymns of praise, when they hear words from the Bible read aloud, they are learning something about what the community values and what can and does shape their lives of faith. All over the internet (and, more importantly, in congregations everywhere), important conversations are taking place about how to plan worship that fully includes children. Sites such as Worshiping with Children and Faith Formation Journeys offer rich resources for planning inclusive worship and Karen Ware Jackson gives creative ideas for transforming worship spaces as well as sharing resources for families who worship together. These are important contributions to the conversations about worshiping together as an intergenerational community of faith. This bibliography is an attempt to contribute to the conversation about children and worship. Based on significant activities that happen in worship – gathering, saying we’re sorry and being forgiven, listening, responding to love and serving – these books help children make connections with what they enact each time they worship. These are not the only books that can do this, and we’d love to hear your suggestions for other books that might enhance the themes around which Noell Rathbun-Cook has organized this bibliography. We hope these suggestions can help your congregation continue to serve the children and adults in your congregation who want to know and worship God. Thank you to regular contributor Noell Rathbun-Cook, Union Presbyterian Seminary alumna and Minister of Children’s and Youth Discipleship at Grace Baptist Church, Richmond, VA, for her work compiling this bibliography. BIBLIOGRAPHY: WORSHIPING TOGETHER by Storypath is licensed under a Creative Commons Attribution-NonCommercial 4.0 International License. Thank you for the great resources but to let you know that when I click on Karen Ware Jackson – I am taken to Carolyn Brown’s worshiping with Children blog. If you could post the correct web address – it would be greatly appreciated. Thank you and God’s blessings. Thank you so much for letting me know about this mistake. It has now been corrected! I also thank you for these wonderful resources. Unfortunately, when I click on the link for the bibliography, I get a message that says, “This page does not seem to exist.” Hopefully, it’s another glitch that can be easily corrected. Thank you! Can you not get to that page? If not, I’ll send this directly to you in your email. I like this posting quite a lot. I downloaded it, did a couple of of substitutions with books we already had, and tightened it just a touch. 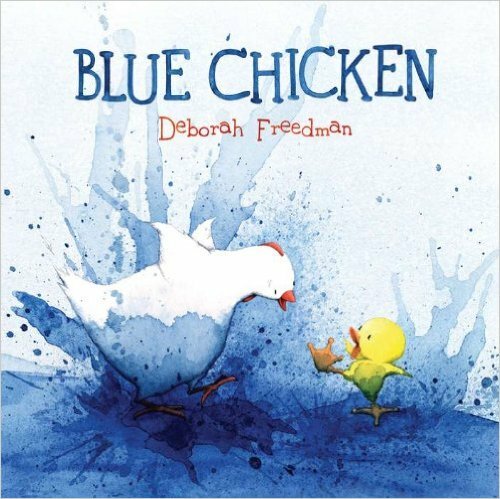 I appreciated the introduction to Blue Chicken and Red Knit Cap Girl and Horrible Bear! I have been working on a couple of short bibliographies here at Union, both with a young child component and an older child component extension. One is about 9/11 and understanding/respecting Muslims. The other is about the Great Recession, right relationships and investment. Families are the audience for both of these and the order of worship bib. How should I credit you? The Seminary or Noell and the Seminary? Or something else? Cathy, it sounds like you are doing wonderful work with literature and faith! We would love it if you would credit Storypath, but crediting our individual writers is a plus as well! We produce everything we do with a creative commons license that says you can use what we share and reproduce it as long as you give us credit. A link could be an appropriate credit that shows that it came from Storypath and we always note the writer for every post. Thanks so much for asking! Thank you for these excellent resources. I would love to see the work that Cathy is pulling together too. Cathy, let us know where to find these important resources.